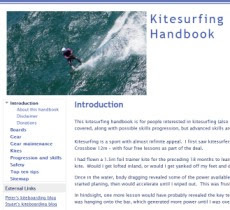 Peter's kitesurfing blog: A perfect winter session - upwind at Brighton. 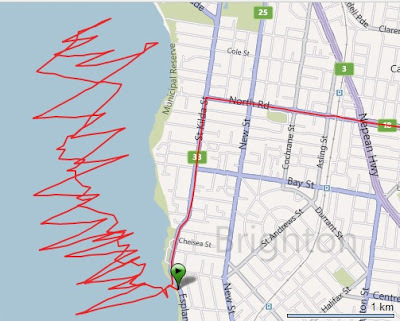 A perfect winter session - upwind at Brighton. Great session today - one of the best. 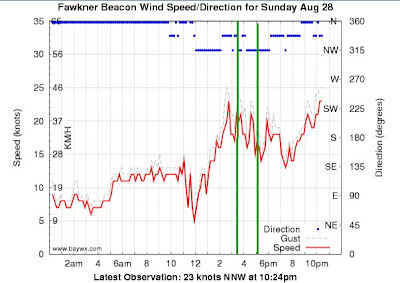 Good wind at Brighton, consistent and strong. After getting a few rigging photos for our Kitesurfing Handbook, Stuart and I headed upwind as it was a bit crowded off the beach. It was fresh and invigorating. 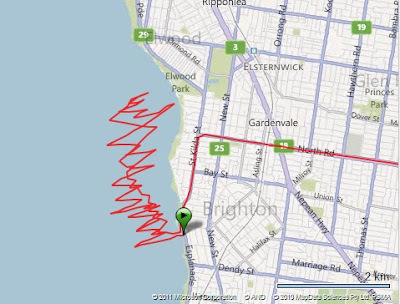 We headed upwind past the Brighton Marina all the way up the Elwood. I dropped the kite once while setting the depower. It came overhead and fluttered to the water. Thankfully I relaunched it without much hassle. 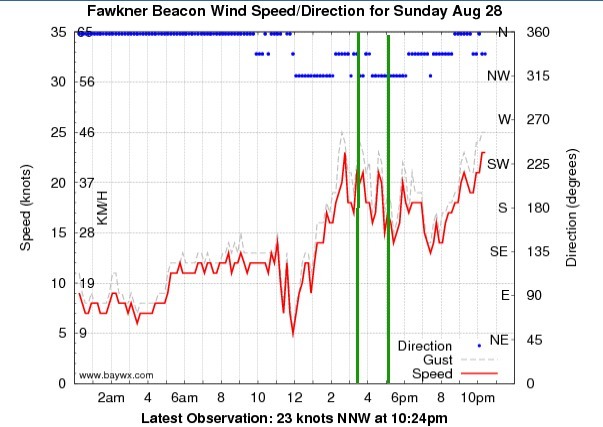 The downwind run back was superb. Heaps of speed, powered up, and time for some good jumps, carved slalom turns and toeside riding. I rigged the kitecam pointing to far back to get yours truly in the frame, but I got some good shots around Brighton and a few of Stuart in the distance. Back on the beach I was chatting to Stuart and Franz when to kites got tangled just offshore. Franz towed me out, I grabbed one and dragged it back to the shore. It all ended well.